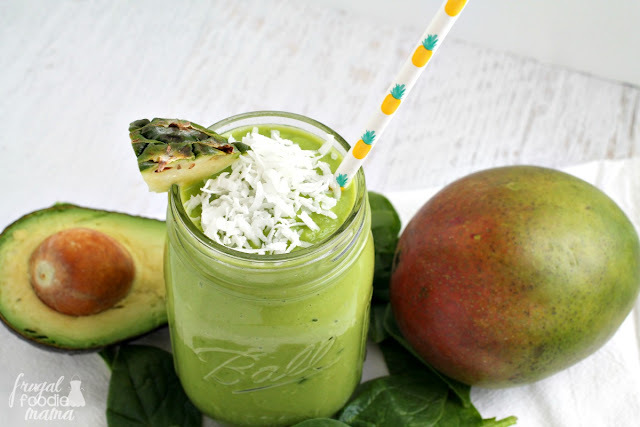 This delicious & dairy-free Tropical Green Goddess Smoothie gets its rich creaminess from a surprise secret ingredient- avocado! I am bringing you all a different kind of green smoothie today. 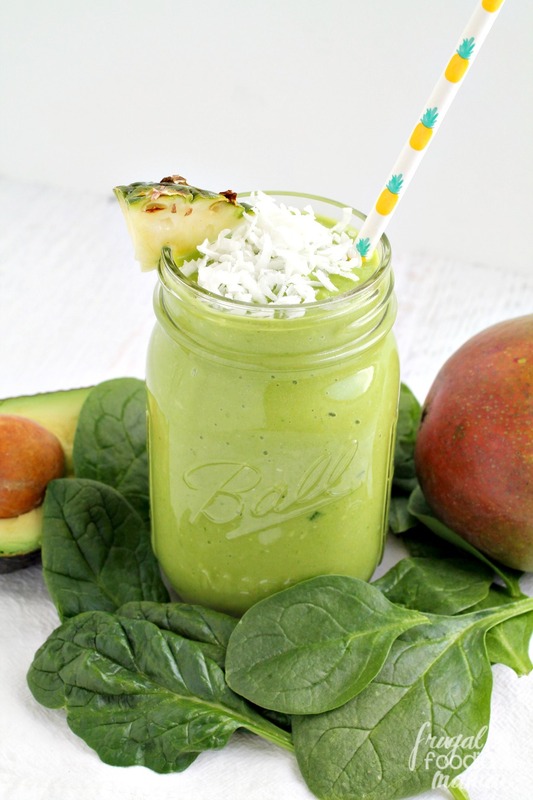 The green in this Tropical Green Goddess Smoothie not only comes from the leafy greens this time. 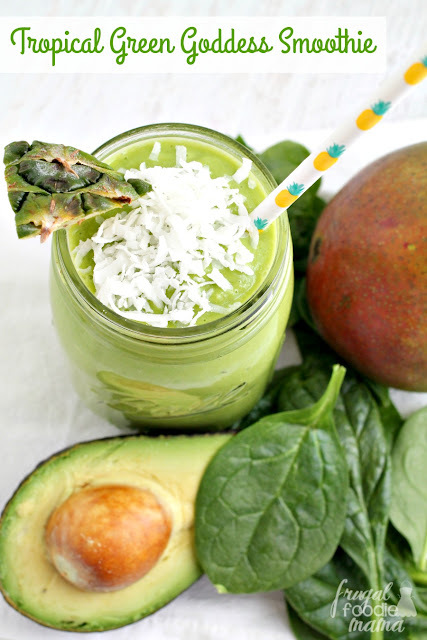 The green in this creamy, tangy, & sweet healthy smoothie also comes from a little mashed avocado! Avocados have had a bad rap in the past for being considered "fatty", but the good news is that the fats in avocados are the good kind- the kind that helps lower cholesterol and reduce your risk of heart disease. And did you know that an avocado has more potassium than a banana?? Add the greens & water to the blender, & puree until smooth. 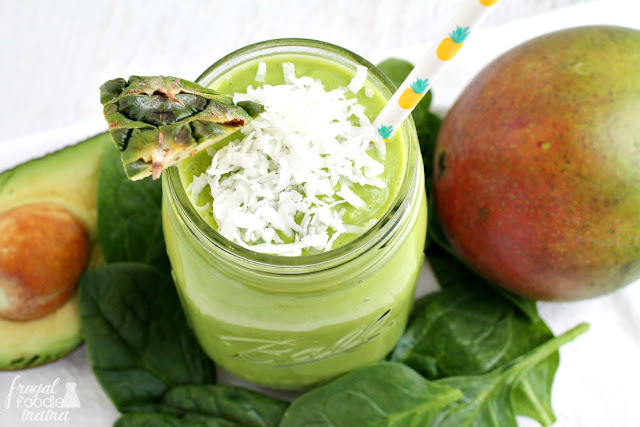 Add the rest of the ingredients to your blender and blend until smooth and creamy. 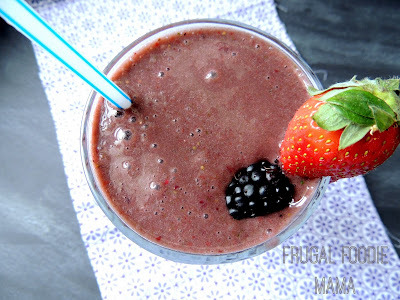 Pop a straw in your blender cup or pour into a glass and enjoy! Top with a sprinkle of additional shredded coconut, if desired. **Tip- The easiest way to cut an avocado is to slice the avocado in half lengthwise. Insert the tip of your knife into the seed and twist- it should come right out. You can cube the avocado right in the peel- just slice vertically in 1/4 inch slices & then horizontally across in 1/4 inch slices. Then simply use a spoon to scoop out the cubed avocado from the peel. Easy, peasy! 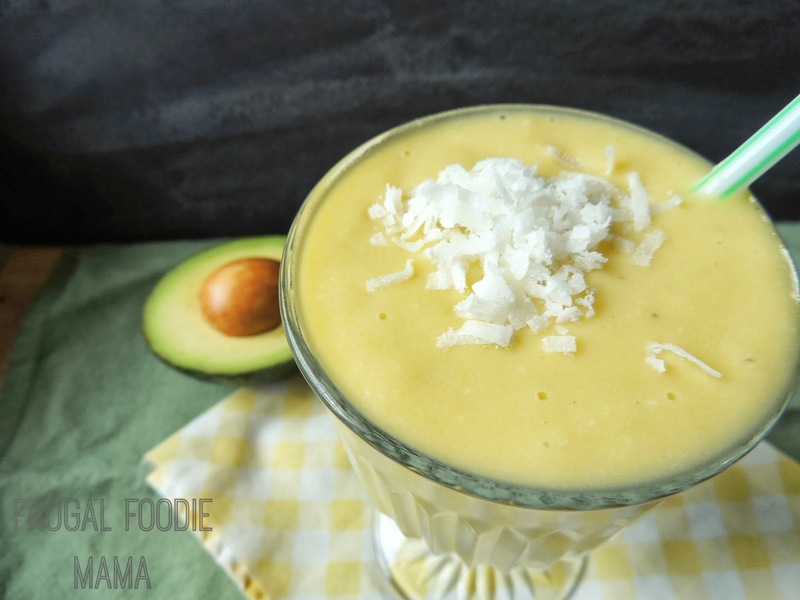 Are you a fan of avocados? What is your favorite way to eat them? 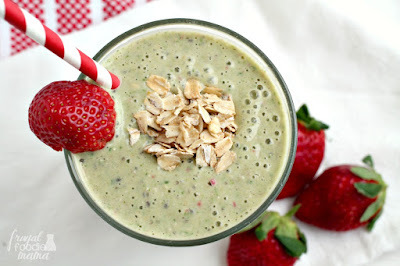 There are many more green smoothie recipes coming to the blog this week for Green Smoothie Week, so stay tuned friends.